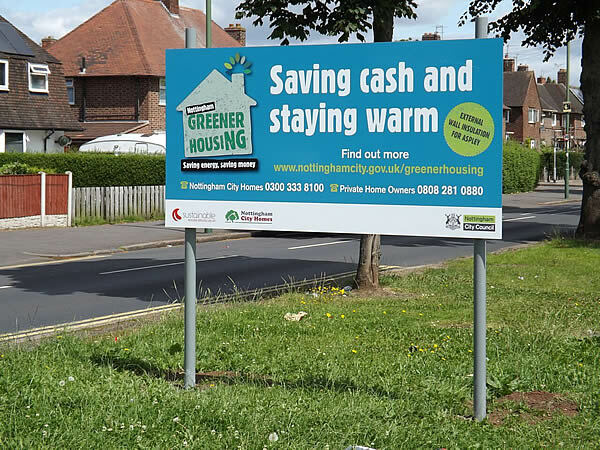 In 2015, SBS was appointed by Nottingham City Homes to design and install solid wall insulation systems for more than 1,200 private and social housing properties in the Nottingham area. Worth up to £10m, the scheme was procured via the Efficiency East Midlands (EEM) Solid Wall Insulation Framework. Work has progressed steadily since then and the latest phase is due for completion in November 2016. The results have been outstanding, with excellent resident satisfaction scores and rapid progress on site. In July 2015, building repair and energy efficiency specialist, Sustainable Group (UK) Limited became a founder member of a new refurbishment sector initiative dedicated to making net-zero-energy housing a widespread reality in Britain. Sustainable Building Services (UK) Limited has won a £3.5 million project to install external wall insulation to 558 properties in Chesterfield and Bolsover. The contract was awarded through a four year solid wall insulation framework managed by Efficiency East Midlands (EEM). Sustainable Group (UK) owner, Derek Horrocks recently featured in an article in The Times newspaper (24th May 2013) examining the potential benefits of the Green Deal to home owners. In February 2013, Sustainable Building Services (UK) received confirmation that it has been recognised as an Approved Installer member of the Solid Wall Insulation Guarantee Agency (SWIGA). SWIGA’s role is to provide domestic customers with an independent guarantee for solid wall insulation systems. These can be external, internal or hybrid solutions. On Tuesday 29th January 2013, Peter Maddern, Head of Contract Compliance at the British Board of Agrément visited the Sustainable Group headquarters to present a certificate of approval to company directors Gary Lawson and Derek Horrocks.